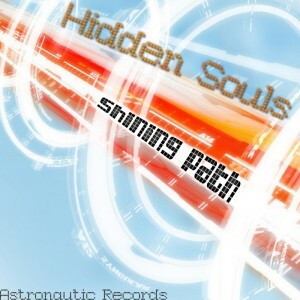 Astronautic Records presents Shining Path, the debut release from Hidden Souls, an Israeli psytrance project formed by Malicious (Vlad Dorman) and Silent Witch (Juliett Khamidullina). This duo began production in 2008 by experimenting with many different approaches to dark psychedelic trance before settling on an unusual blend of twilight-style full-on with emotional melodies, ecstatic build-ups, and theatrical atmospheres. Mastering by Keamia with artwork by Silent Witch. MP3 Download | FLAC Download | WAV Download · Download count: 12,449. NiiiiiiCE ONE Again ! More Pls!!!! BOM! Big tnx To Ektoplazm and Austronautic Rec ! Best Ektoplazm release in ages!!! AMAZING MUSIC!!! Hey Official Web Page Of Hidden Souls Completely Ready ! Visit Us ! absolutely brilliant and uncompromisingly creative-the first track had me tearing up with joy…DOWNLOAD NOW! Thank you Silent Witch,Malicious and Ektoplazm!!!! This is a fantastic release, the first track of this release truly made me smile :D. The title is well fitting to that track! Especially from 3:50 onwards, good work and keep it up I will be following you guys closely. http://soundcloud.com/hiddensouls my new offecial group is open !!! follow me friends! I’m really enjoying the Hidden Soul sound, I don’t know where these build ups are going to take me. this album is my anthem!! !